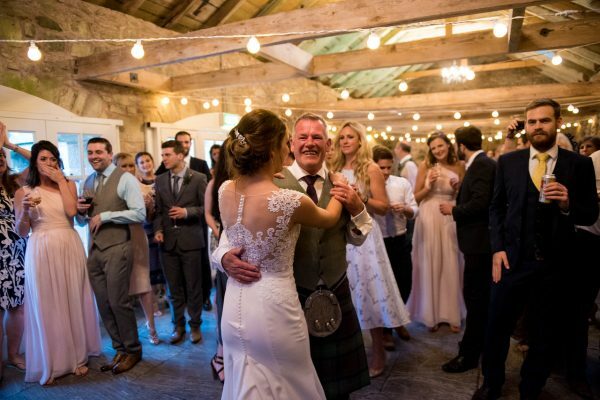 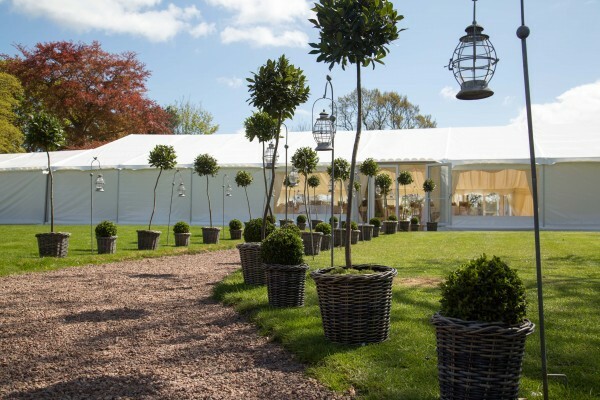 Marquee weddings come into their own when you have a large group of friends and family and want to have a big celebration. 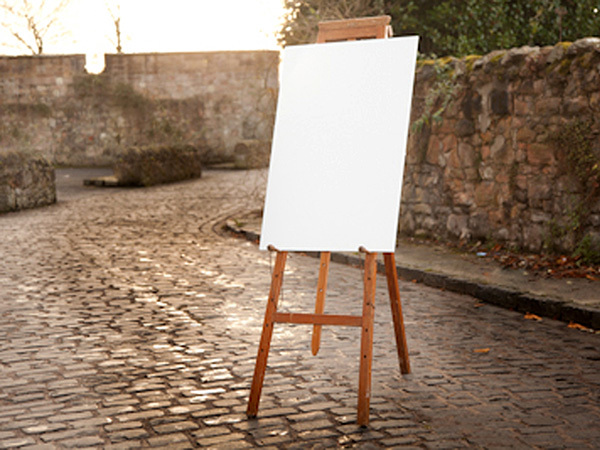 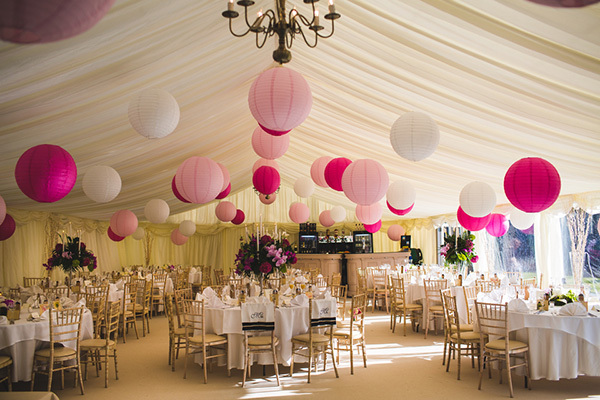 Even better, marquees give you a chance to put your own creative stamp on a sizeable space, which is simply great fun! 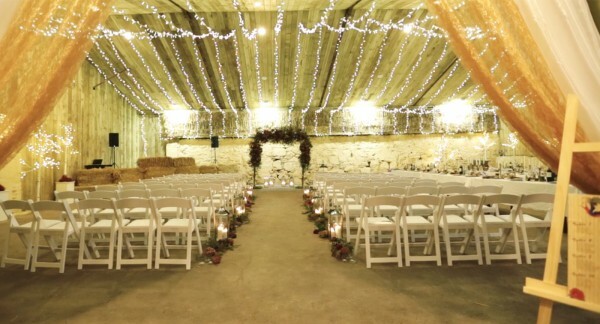 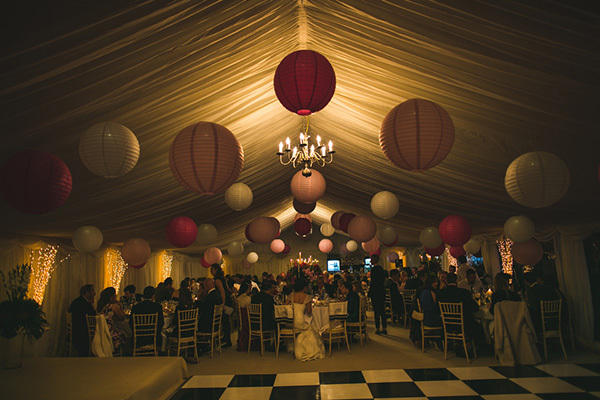 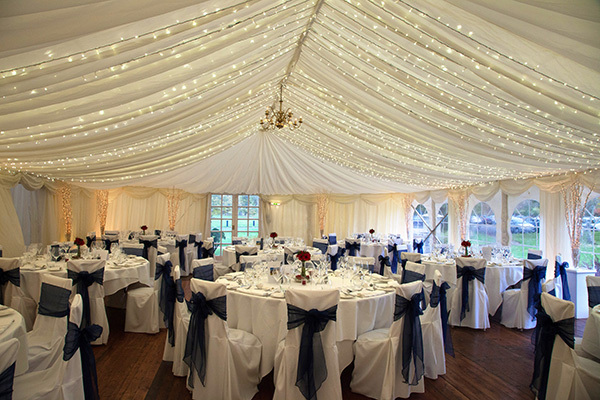 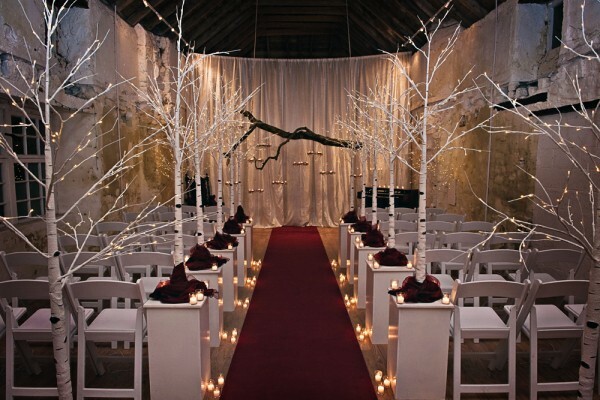 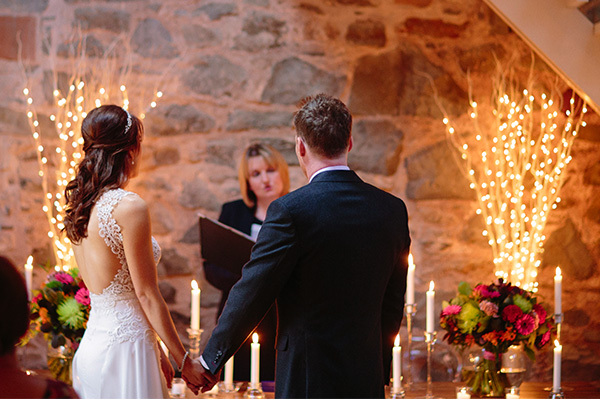 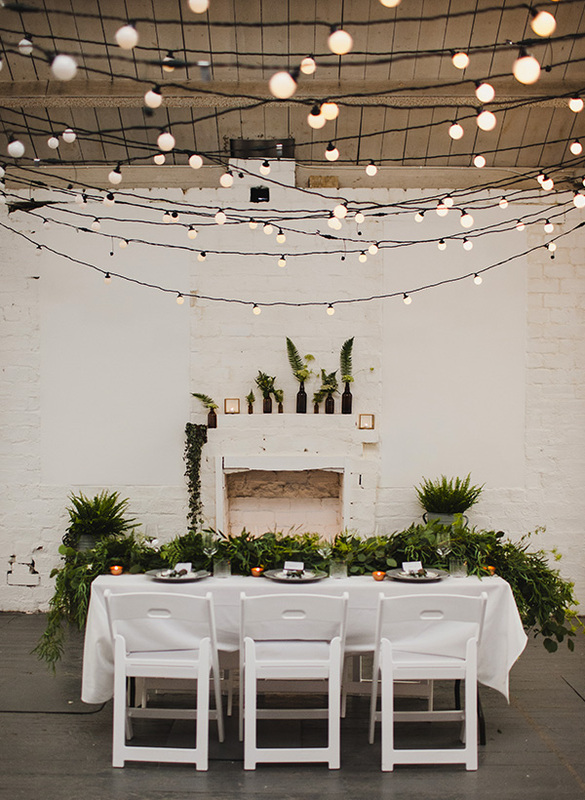 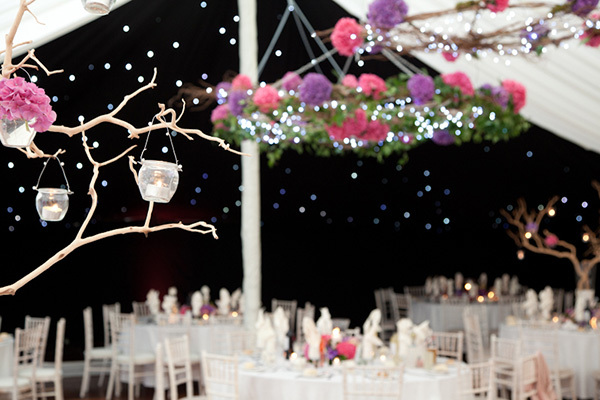 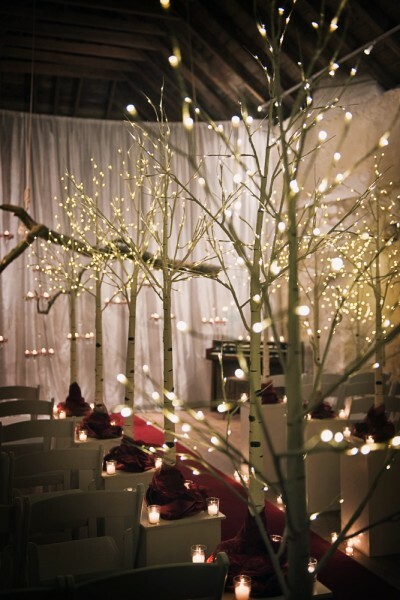 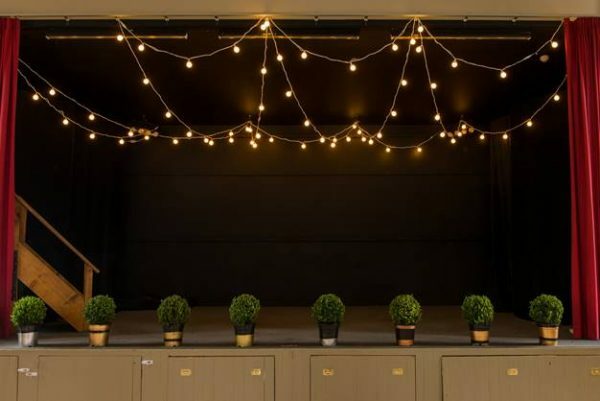 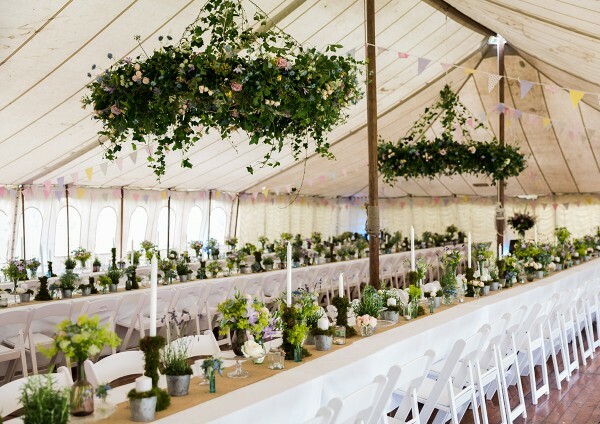 Marquees have an amazing sense of drama thanks to the high ceilings and drapes, and look fabulous with fairy lights, colourful hanging lanterns, twiglights and floral ceiling rings, especially with gorgeous Get Knotted wedding flowers. 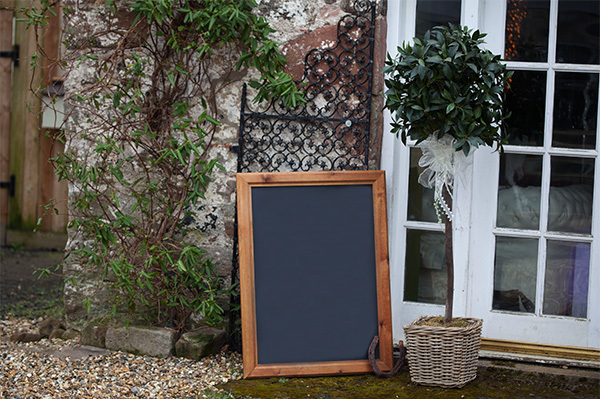 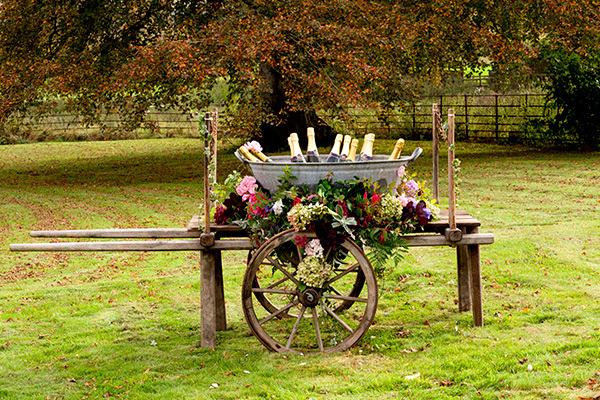 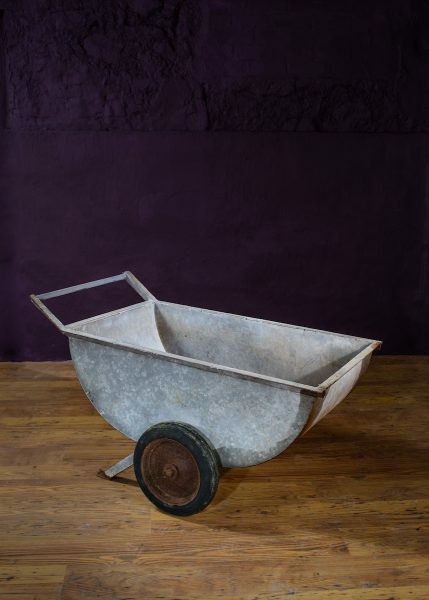 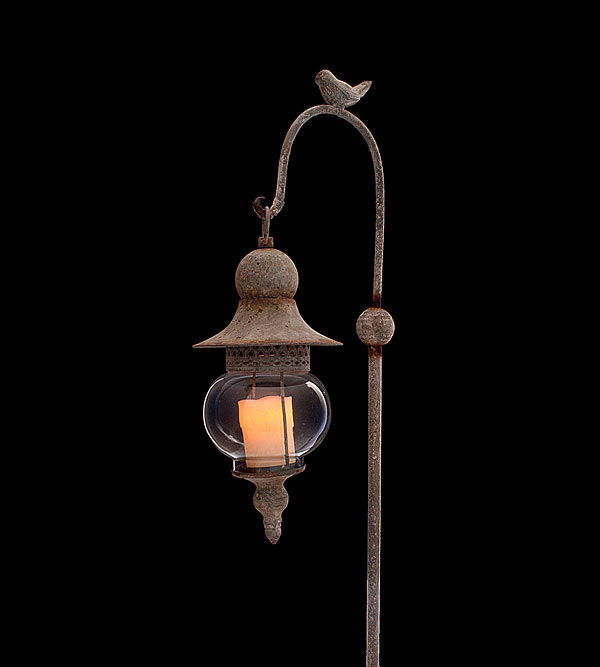 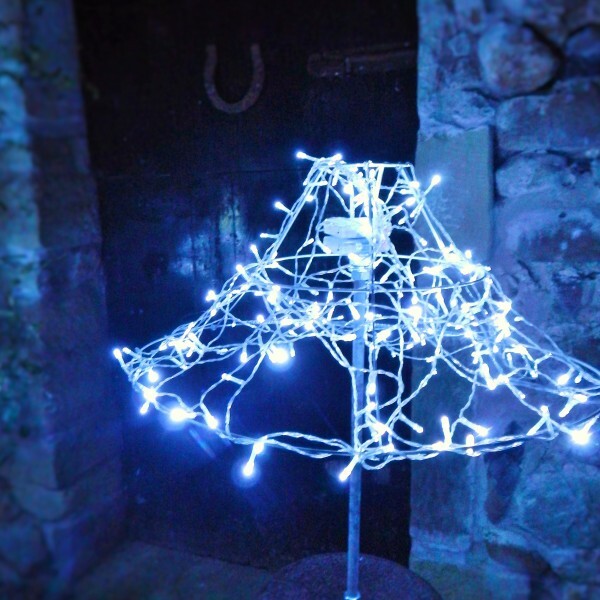 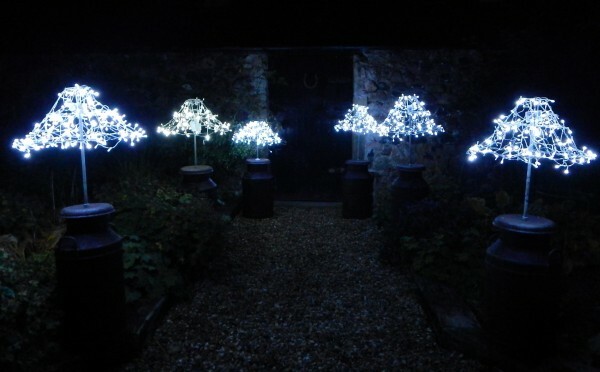 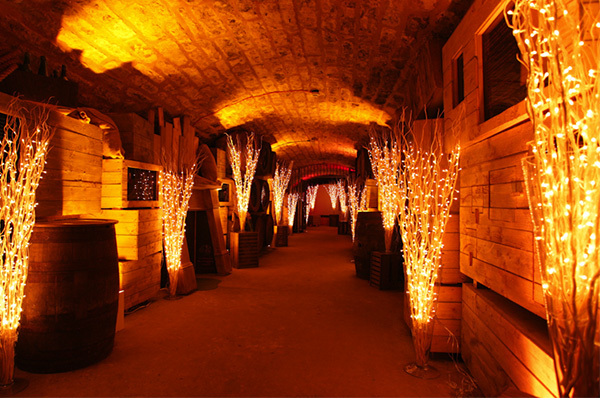 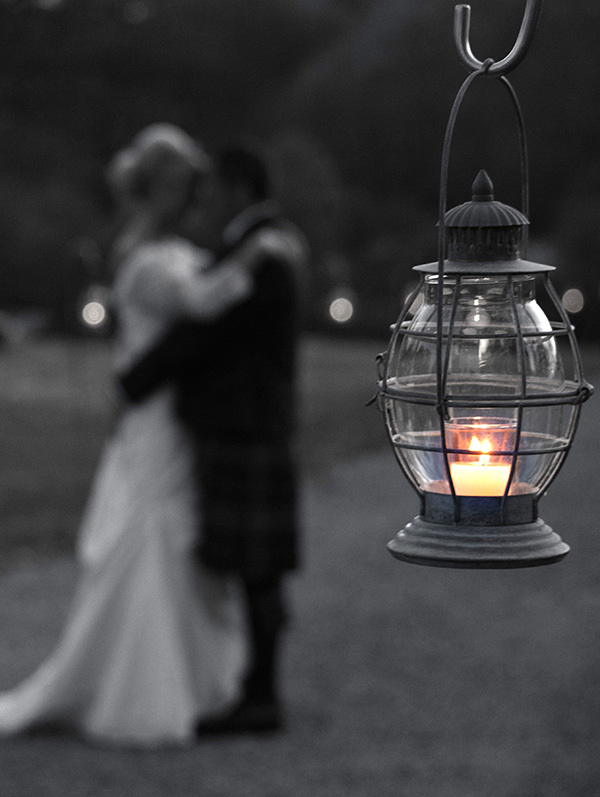 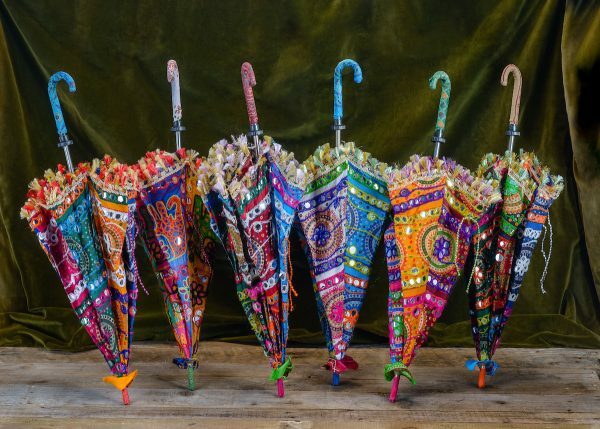 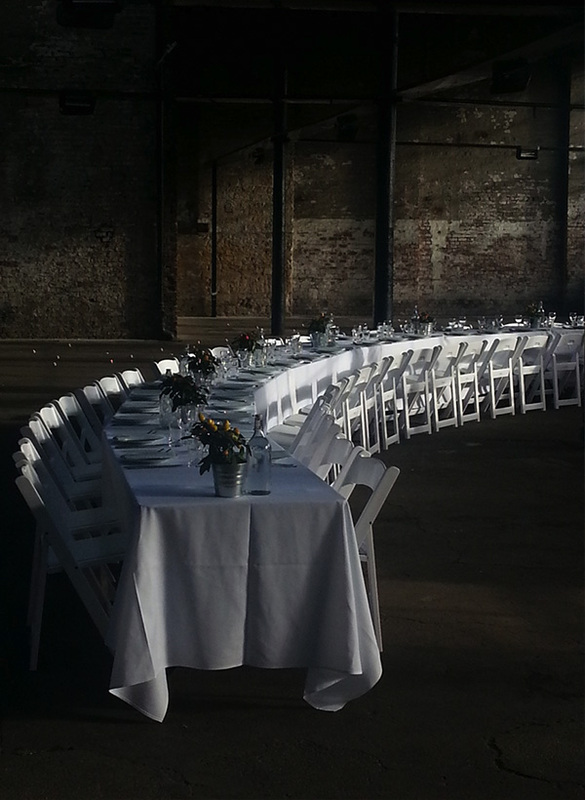 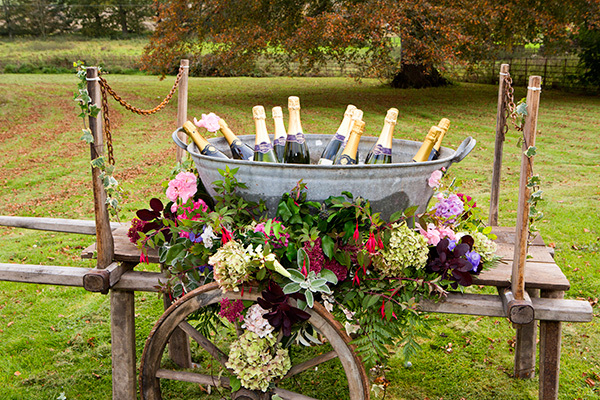 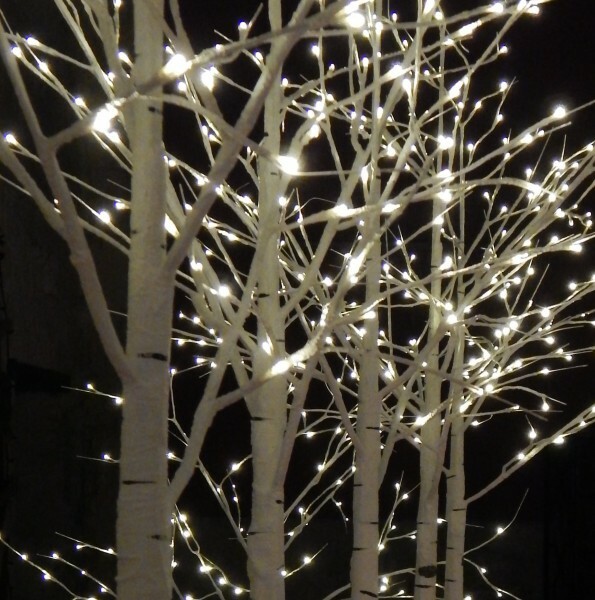 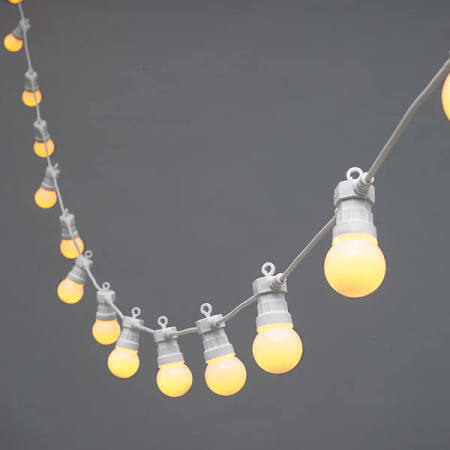 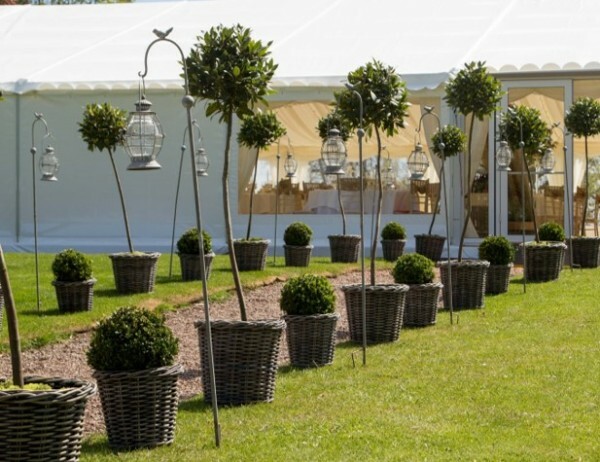 We have a lot of stylish wedding hire props which work at scale and add the ‘wow’ factor to your marquee. 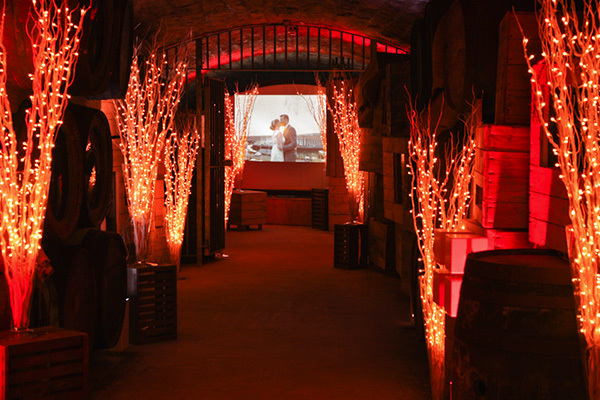 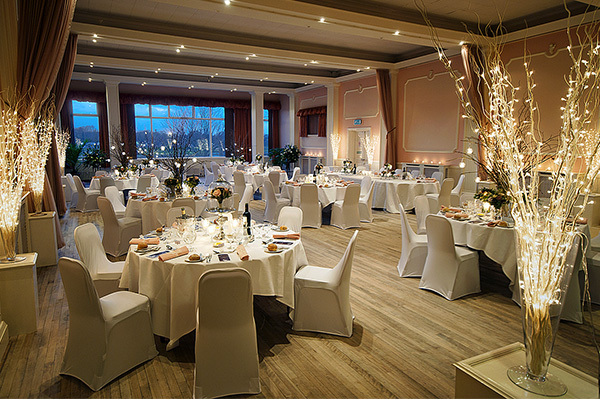 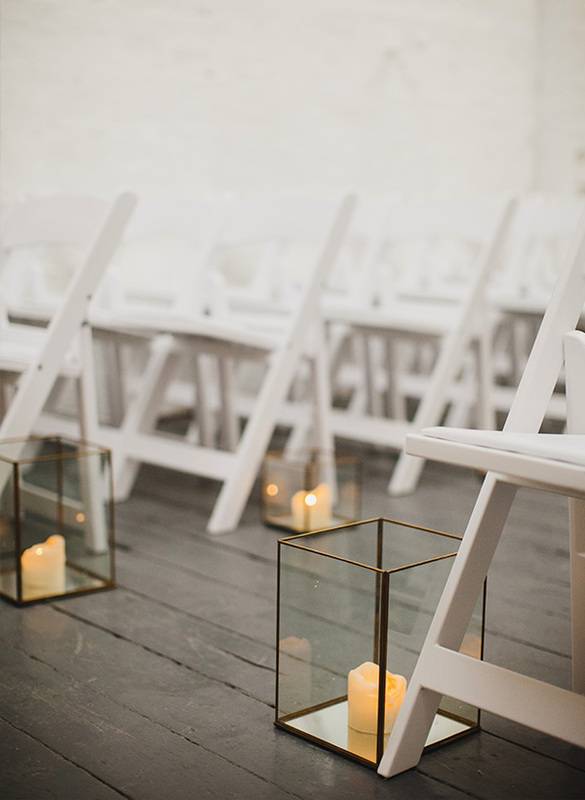 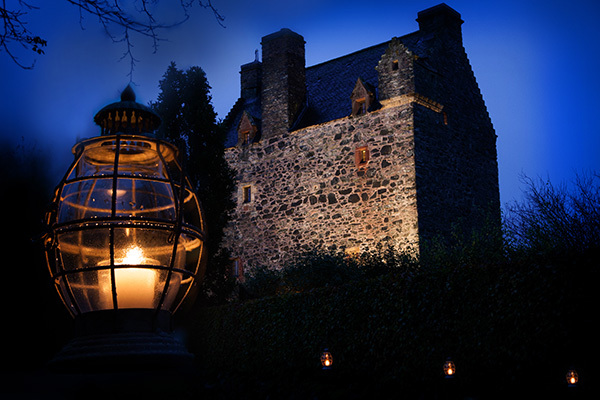 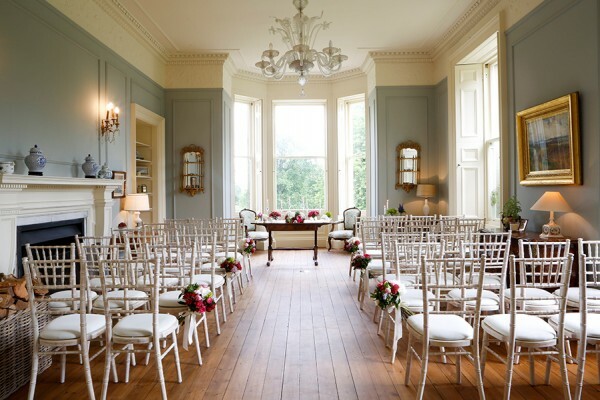 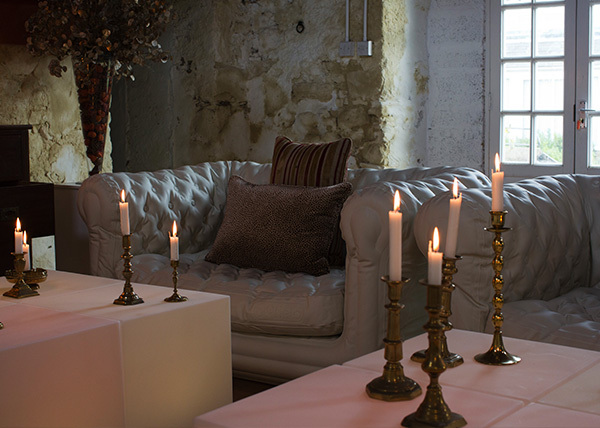 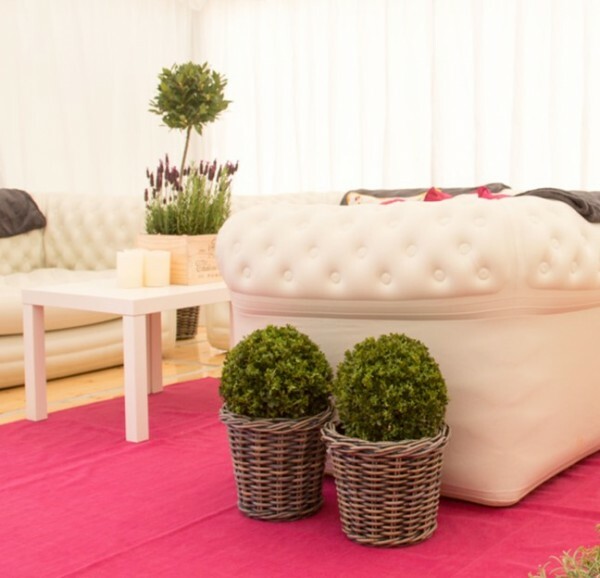 Inflatable sofas and LED light cubes are practical, beautiful, and a fantastic talking point for a contemporary wedding, while bay trees and boxes are lovely and timeless for vintage Scottish and traditional white wedding themes. 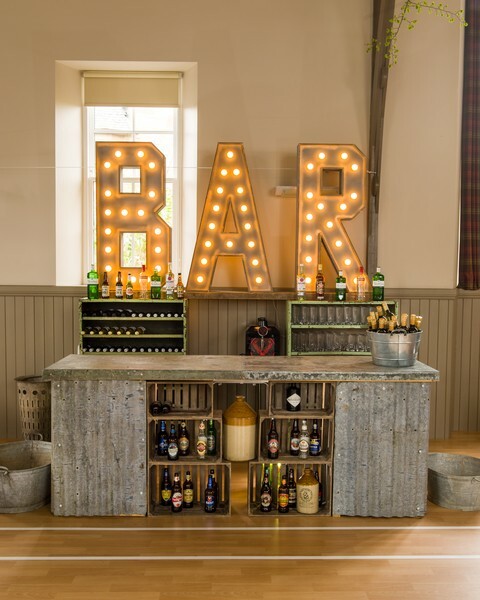 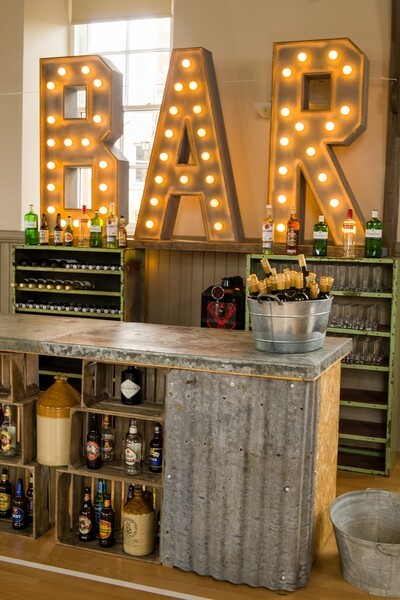 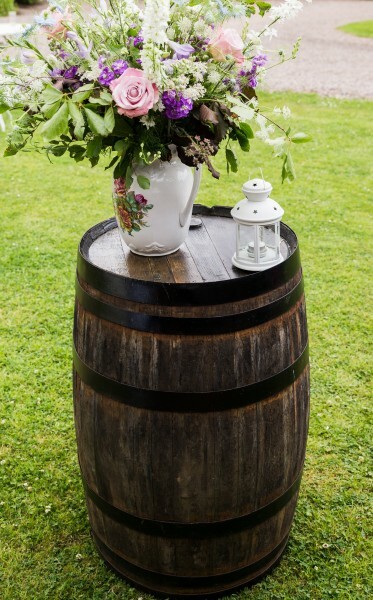 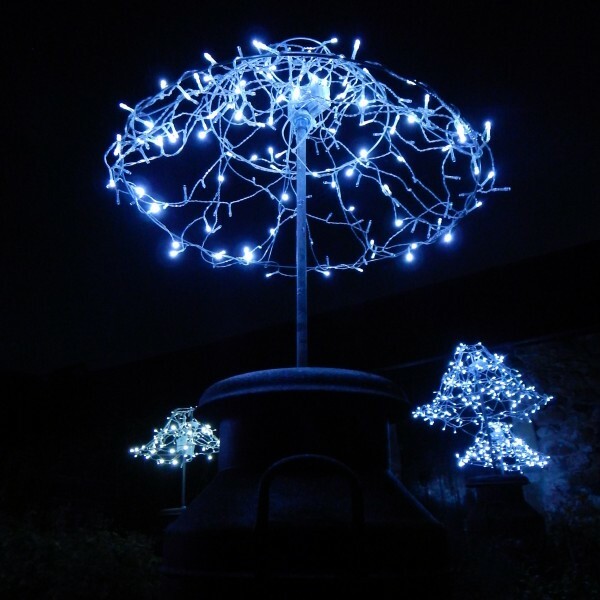 Quirky lanterns, vintage easels, suitcases typewriters and even a floral booze barrow are lively and cost-effective ways to add impact to a marquee wedding venue. 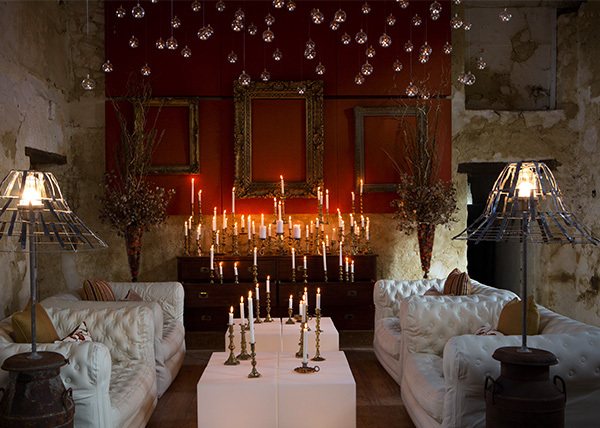 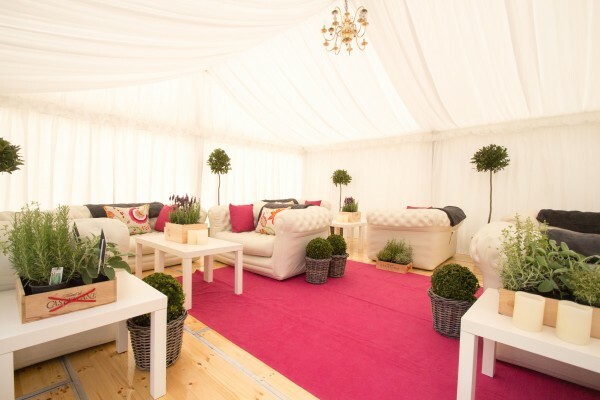 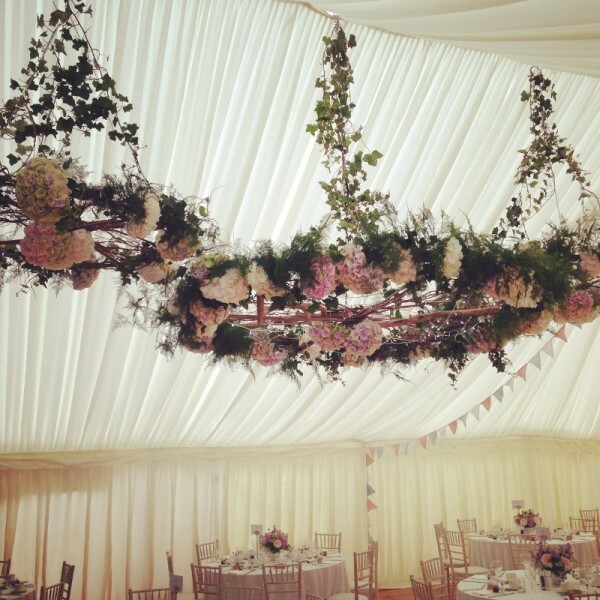 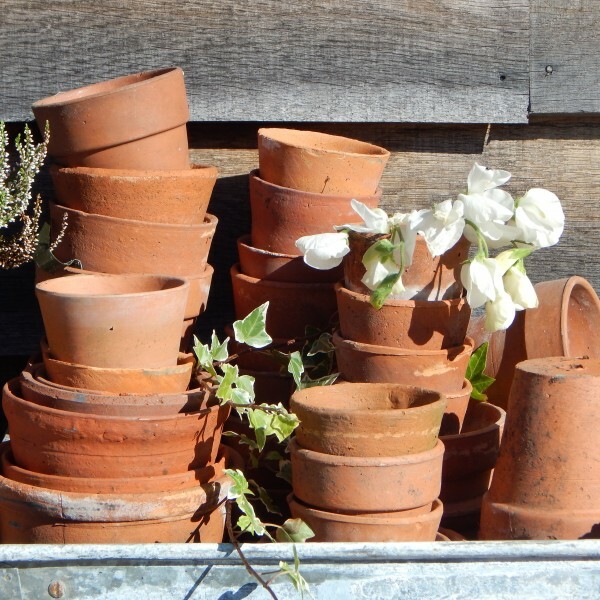 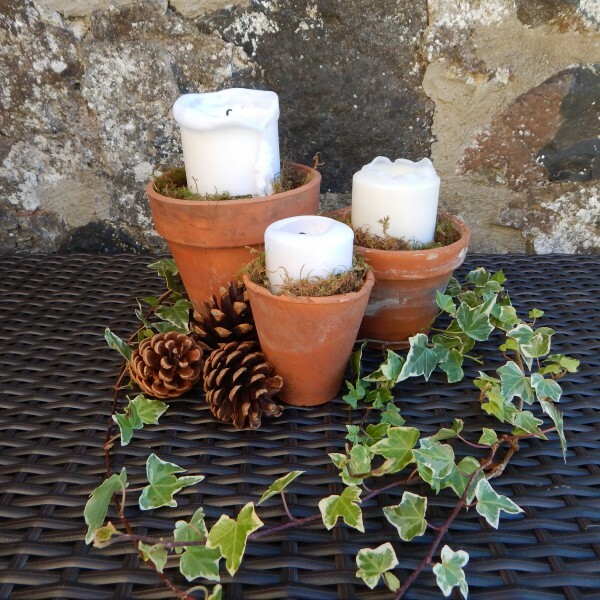 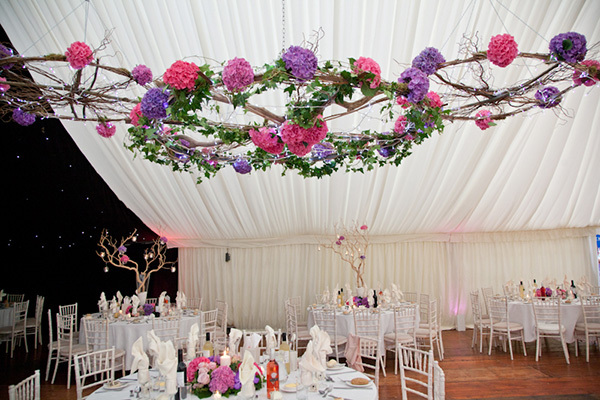 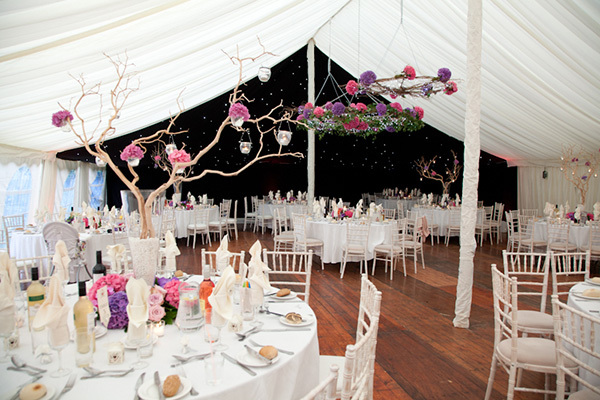 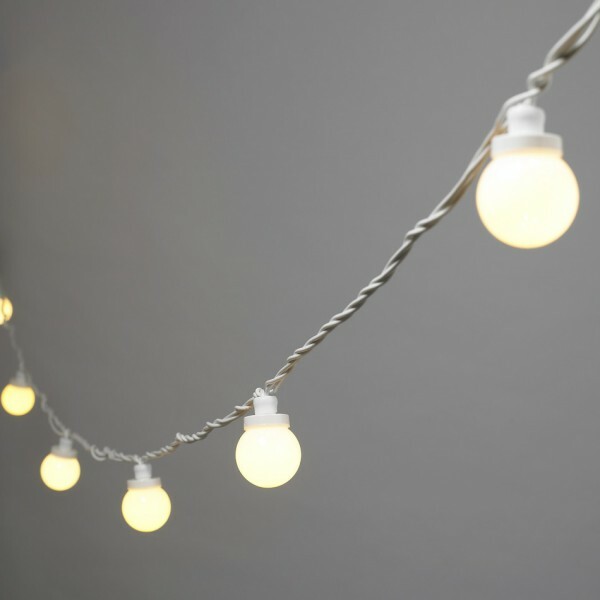 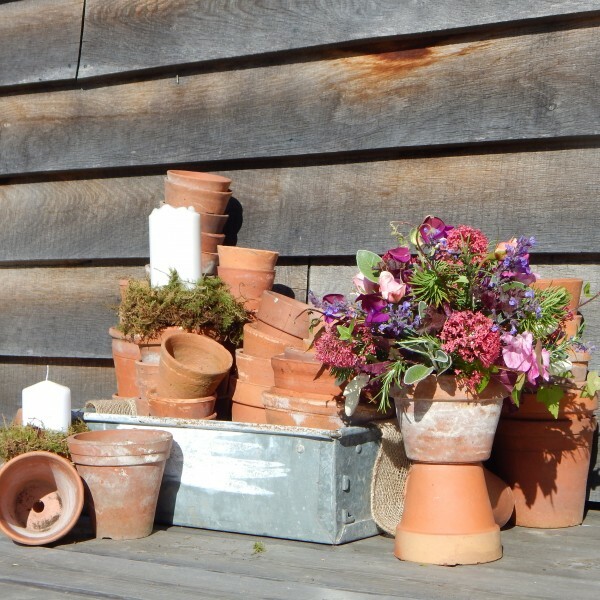 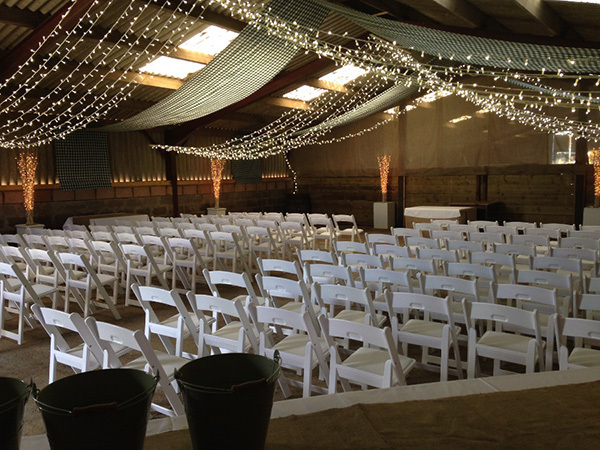 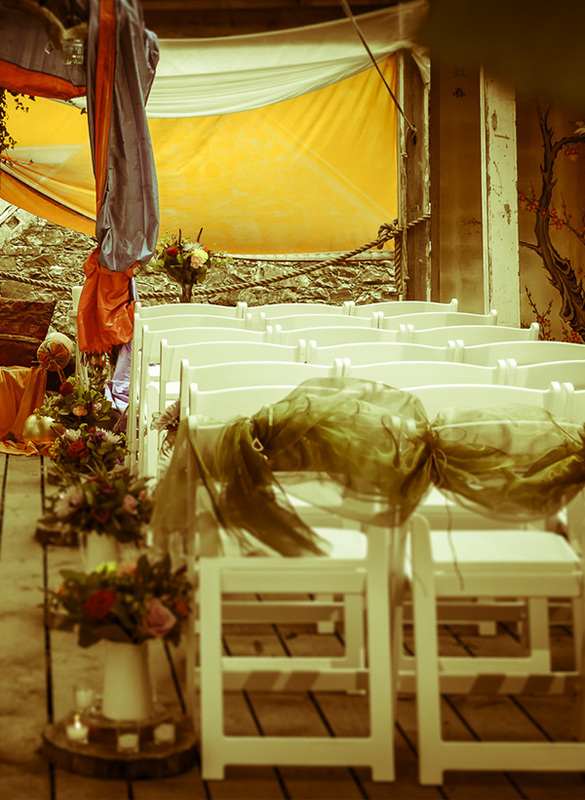 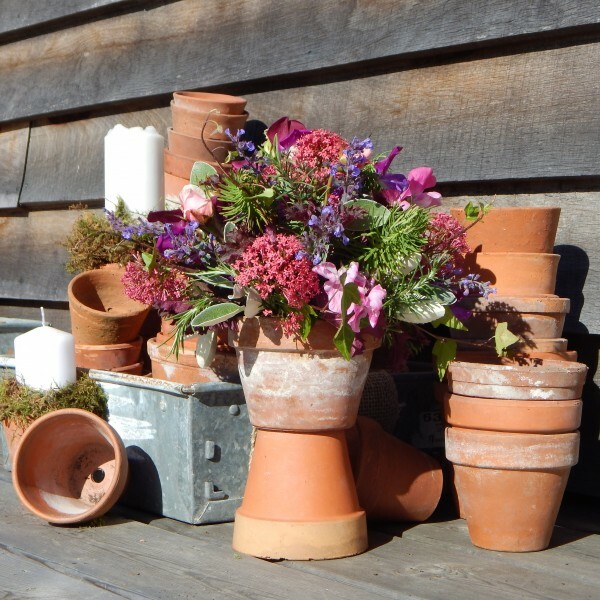 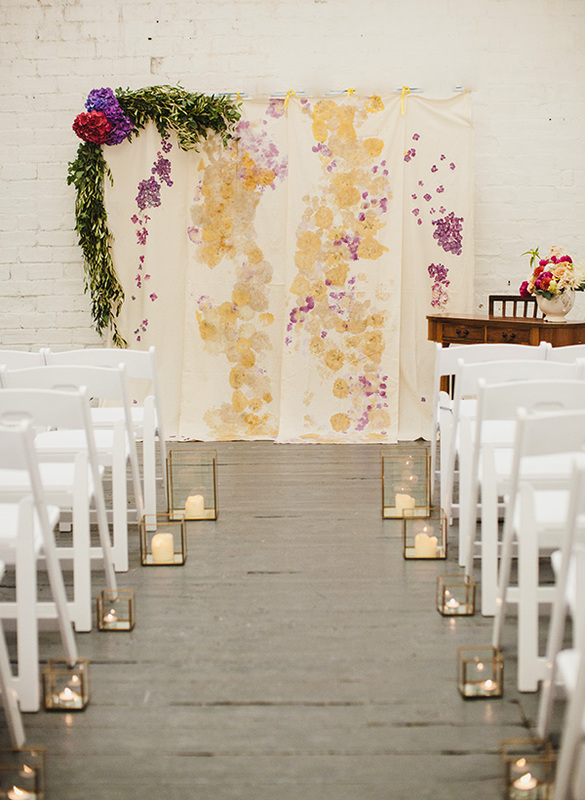 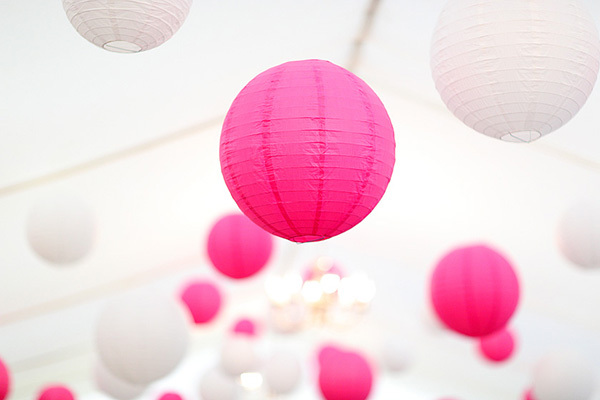 Keep up with our blog to be first in the know when it comes to creative marquee styling!